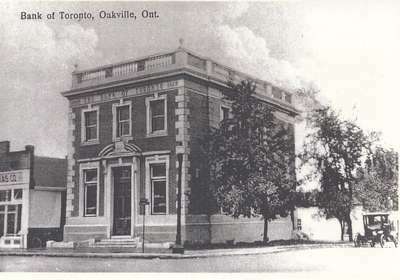 This building was originally designed and built for the Bank of Toronto (c. 1920). 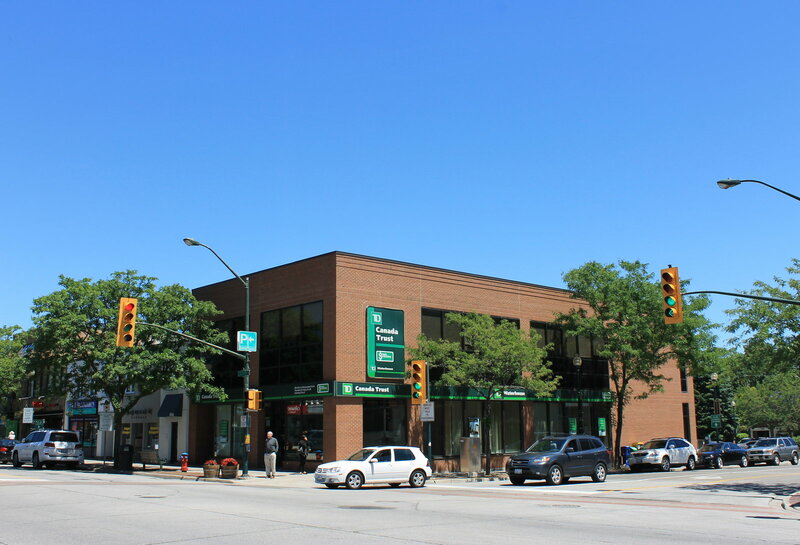 Located at 166 Lakeshore Road East, this building was converted to a Toronto-Dominion Bank after the merger in 1955. Prior to the bank, this property originally belonged to the town's founder, Colonel William Chisholm, and was the location of his house. 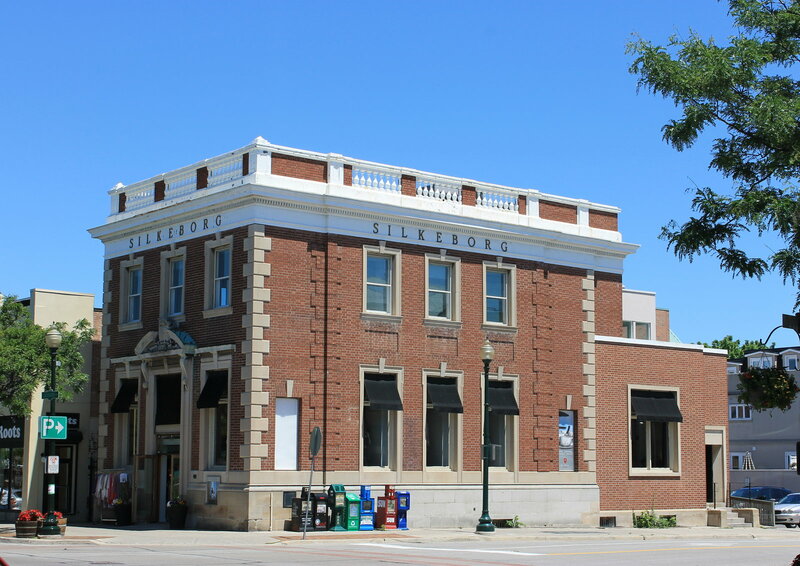 Silkeborg, a high-end retail clothing store has since replaced the bank and TD Canada Trust can now be found at 282 Lakeshore Road East.